In spite of the failure of the various revolutionary movements in Austria in the spring of 1848, the Metternich regime could not be maintained. A constituent assembly or preliminary parliament had to be convoked by Emperor Ferdinand I even before he abdicated, on December 2, in favor of his nephew, Francis Joseph I. That assembly, meeting first in Vienna and later in Kromeriz (Kremsier) in Moravia, had to prepare a constitution for the Habsburg monarchy which would not only establish a parliamentary government and introduce social reforms but also give satisfaction to the claims of the various nationalities. Under a Polish speaker, Francis Smolka, both German and Slav deputies made a serious effort to solve these two problems. The latter, particularly the Czechs, wanted a real federalization of the empire which Palacky, in his plan of January 13, 1849, proposed to divide into eight entirely new provinces corresponding to the main ethnic groups. In order to avoid too drastic changes of the existing boundaries and the breaking up of the various historic units, the final draft of the new constitution, of March 1, attempted a compromise. Self-government was provided for each of the historic lands of the monarchy, but those which had a mixed population were to be subdivided into autonomous districts (Kreise) for each nationality. This constructive idea was never to materialize, however, and the whole “Kremsier Constitution” was abandoned when the new prime minister, Prince Felix Schwarzenberg, dissolved the assembly and returned to an absolute and centralistic form of government under German leadership. One of the reasons for that final defeat of the Austrian revolution, even in its moderate expression, was indeed the military strength of the imperial regime. The Austrian army under Field Marshal Radetzky twice defeated the only foreign power which interfered with the internal troubles of the monarchy. This was the kingdom of Sardinia which, aiming at the unification of Italy, tried in vain to liberate the Italian populations still under Habsburg rule. But for the history of East Central Europe the second reason for the temporary victory of imperialism and absolutism is even more significant. It was not only difficult in general to reconcile the frequently conflicting claims of the various nationalities for instance, the claims of Italians and “Illyrians” (Slovenes and Croats in the maritime provinces or the claims of Poles and Ruthenians in Galicia) but any federal transformation of the empire, following ethnic lines, found an almost insurmountable obstacle in the basic opposition between the historic conception of the kingdom of Hungary and the aspirations of the non-Magyar nationalities of that kingdom which Vienna was able to play off against Budapest. In that respect failure to arrive at an agreement was the more regrettable because the Magyars represented by far the strongest force of opposition against the central regime. Realizing this, Ferdinand I, the fourth as king of Hungary, accepted the demands of the bloodless revolution which also broke out in Hungary’s capital in the middle of March, 1848. Count Louis Batthyány became the first Hungarian prime minister and the liberal bills voted by the Hungarian Diet were approved. But the delicate issue of the relations between the new democratic kingdom and Austria, which was left in suspense, alarmed both the reactionaries in Vienna and the non-Magyar peoples of Hungary. The latter were afraid of the nationalism of the most influential Magyar leader, Louis Kossuth, a man who was favorable to social reforms but who was unprepared to recognize the equal rights of all nationalities. Most of these were Slavs, including the Slovaks of northern Hungary—close kin of the Czechs in the Austrian part of the empire—and the Serb minority in southern Hungary looking toward the autonomous principality of Serbia on the other side of the border. But more than any other Slavs and more than the Rumanians of Transylvania, who at once protested against the incorporation of that province with Hungary and who were influenced by the rising Rumanian nationalism in the Danubian principalities, the Croats were to prove the most dangerous opponents of the Hungarian revolution. Fearing for the traditional autonomy of their kingdom if the ties with a free Hungary were to be made closer, they hoped to best serve their own national interests by siding with the imperial government in Vienna. It was therefore the Croat army, under Baron Joseph Jellachich, appointed ban of Croatia by the emperor and also ready to cooperate with the Orthodox Serbs, which was used by Austria to crush the Magyars. He also had to conduct the war in defense of the new republic whose establishment seemed to be a turning point in the history of East Central Europe, a first step in the direction of the complete liberation of all nations placed under foreign rule. As such it was particularly welcomed by the Poles whose friendship with the Hungarians was traditional. But in spite of that friendship the Polish leaders were fully aware of the fateful mistake which the defenders of Hungarian nationalism were making by disregarding the nationalism of the non-Magyar peoples. A reconciliation between Magyars on the one hand and Slavs and Rumanians on the other, was strongly encouraged both by Prince Czartoryski, who continued to conduct Polish diplomacy from Paris and who established relations even with Sardinia and Serbia, and by the Polish generals who participated in the Hungarian independence war. One of them, Henryk Dembinski, was for a certain time even commander in chief of the Hungarian forces. Another, Josef Bem, a better strategist and more popular in Hungary, particularly distinguished himself in the defense of Transylvania where he tried in vain to better the relations between Magyars and Rumanians. 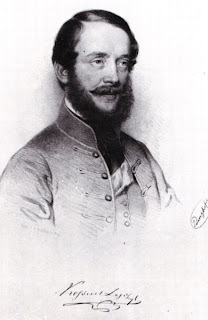 He had to fight not only against the Austrians but also against the Russians, because after the defeat of Windisch-Graetz the emperor had asked for aid from Czar Nicholas I who had been able to prevent any revolutionary outbreak in his own realm and had stopped a liberal revolt in Rumania. The czar now was ready to offer his assistance in crushing the last and most alarming insurrection in East Central Europe. The Polish participation in that revolution was for him a special reason for interfering since he was afraid that a Hungarian victory would also encourage the Poles to resume their struggle for independence, possibly under the same generals, and with the revolutionary movement eventually spreading from Austrian to Russian Poland. On his way to Hungary the Russian field marshal Paskevich, the same who had crushed the Polish insurrection in 1831 and now governed the former “kingdom,” took his auxiliary army through Galicia which was still restless after the troubles of 1848. The first Hungarian territory which he entered was the Ruthenian region south of the Carpathians, where among close kin of the czar’s “Little Russians” or Ukrainians—another national minority rather neglected by the Magyars—a feeling of solidarity with Russia was created on that occasion. Attacked from two sides by superior forces, the exhausted Hungarian army, in spite of the courageous efforts of its last commander, General Arthur Görgey, had to capitulate. This took place at Világos near Arad on August 13, 1849, and all fighting ended in October when General George Klapka had to surrender the fortress of Komárom. This was at the same time the end of the whole revolutionary movement in the Habsburg Empire, and although even the Russians suggested an amnesty, the long resistance of the Hungarians was now ruthlessly punished. The victorious Austrian commander, General Julius Haynau, instituted a regime of terror which culminated in the execution of the former prime minister, Batthyány, and thirteen high officers. Kossuth had to go into exile and it was in America that he was received with special enthusiasm in 1851. But in general the Hungarian emigration was no more successful than the Polish in getting Western support for the oppressed peoples of East Central Europe. Moreover, it was not only the Magyars who had to suffer from the new era of reaction. This was similar to the Metternich regime in its twofold trend of centralization and Germanization, which after the end of the military operations lasted for about ten years in the whole Habsburg monarchy under prime minister Alexander von Bach. After fighting on the Austrian side, even Croatia lost her former autonomy and separate diet, and the non-Magyar nationalities of Hungary proper, including the Saxons of Transylvania, were equally disappointed, the new Serb voivodina being placed under military administration. In the Austrian part of the monarchy, all administrative and judicial reforms which had to be undertaken under pressure of the barely suppressed revolution were also aimed at a complete unification of the empire through a German bureaucracy. Contrary to the promises which had been made in March, 1849, the Bach administration, instead of a parliament, merely created a “council of state” which was composed of officials and which proved hostile to any kind of provincial self-government and particularly to the claims of all non-German nationalities. Only in Galicia was some progress made by the Poles, when after General Hammerstein’s military regime, one of them, Count Agenor Goluchowski, was made governor or viceroy of the undivided province. But even that prominent statesman was to find greater possibilities of action only in the reform period ten years later. Immediately after the revolutionary crisis of 1848, which in East Central Europe began two years earlier and lasted one year longer than in the West, that whole region returned to a condition similar to that which prevailed after the Congress of Vienna. In the case of the Poles, that situation was even worse as far as Russian Poland and Cracow were concerned, and all stateless nationalities resented their oppression much more than ever before because of the continuous progress of their national consciousness and the high hopes which the various revolutions had raised. These revolutions having failed, it seemed that only a European war could improve their lot, especially if Western Europe would show a real interest in the freedom of all nations in opposition to the autocratic empires in the eastern part of the Continent. Nobody expressed that idea better than the Polish poet, Adam Mickiewicz, who, turning from literature to political action, had tried in 1848 to create a Polish legion in Italy, as in the days of Bonaparte. He was now ready to welcome another Napoleon as a liberator and the Crimean War as an occasion for reorganizing Europe on a basis of national rights. There was a bon mot after the Revolution and Independence War that the non-Magyars were receiving the New Rule as a same gift as the Magyars as a same penitence..